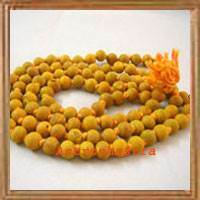 Highly energised power mala with 1 two mukhi rudraksha (Indian origin bead) in centre and surrounded by 2 three faced rudraksha, 2 four mukhi and 2 five mukhi rudraksha. 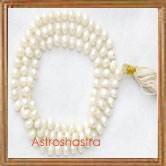 This Energised mala is very auspicious as two mukhi rudraksha improve the your relationship with your loved one and three mukhi rudraksha removes the malefic effects of planet mars like the disease of blood, blood pressure, weakness, disturbed menstrual cycle, kidney ailments . Four Mukhi improve the intellect and five mukhi is used to sublimate the malefic effects of Jupiter such as lack of peace, poverty , lack of harmony. 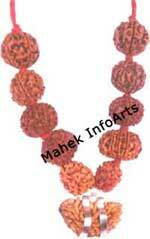 The person wearing this Mala is blessed with intellect, wealth, good health and Happy Married Life.